Visual Studio Code>Themes>Chimera ThemeNew to Visual Studio Code? Get it now. 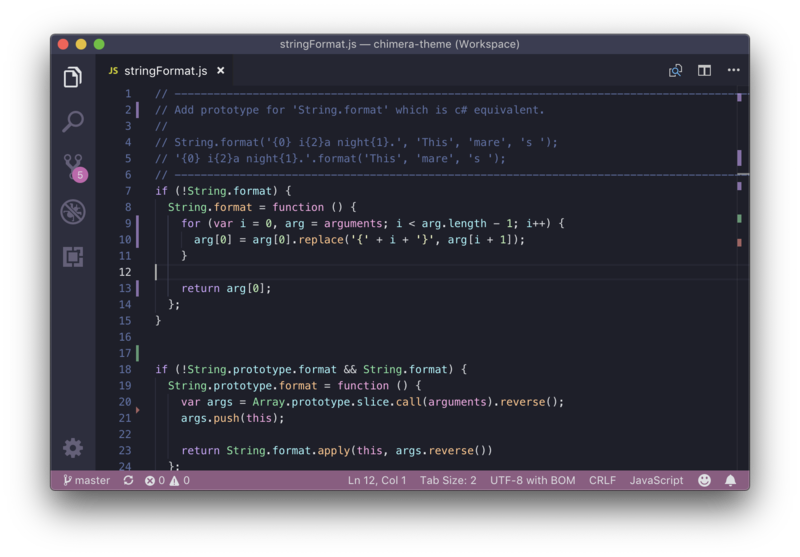 A dark theme for Visual Studio Code inspired by the Dracula, Dark, and Dark+ themes. First run Visual Studio Code. Then select one of the two flavours of the Chimera Theme from the File → Preferences → Color Theme dropdown menu.